The first step of PCB assembly is applying a solder paste to the board. This process is like screen-printing a shirt, except instead of a mask, a thin, stainless-steel stencil is placed over the PCB. This allows assemblers to apply solder paste only to certain parts of the would-be PCB. These parts are where components will sit in the finished PCB. Traditionally, this was a manual process done with a pair of tweezers, in which assemblers had to pick and place components by hand. 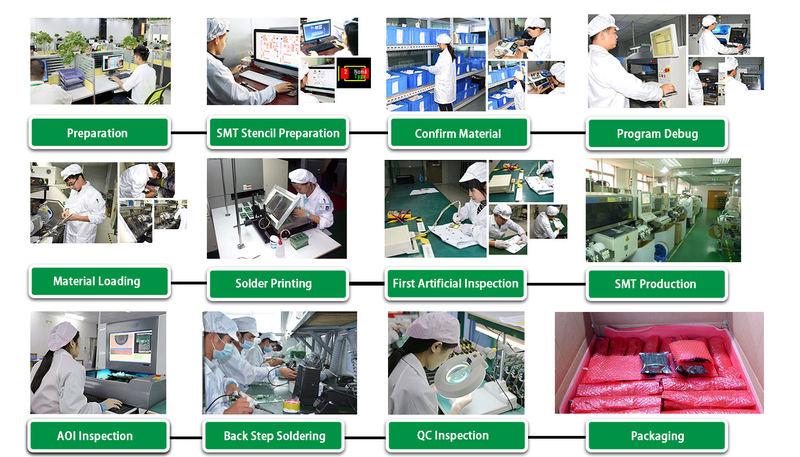 These days, thankfully, this step is an automated process among PCB manufacturers. This shift occurred largely because machines tend to be more accurate and more consistent than humans. While humans can work quickly, fatigue and eyestrain tends to set in after a few hours working with such small components. Machines work around the clock without such fatigue. Once the solder paste and surface mount components are all in place, they need to remain there. This means the solder paste needs to solidify, adhering components to the board. PCB assembly accomplishes this through a process called "reflow". Once the surface mount components are soldered in place after the reflow process, which doesn't stand for completion of PCB Assembly and the assembled board needs to be tested for functionality. Often, movement during the reflow process will result in poor connection quality or a complete lack of a connection. Shorts are also a common side effect of this movement, as misplaced components can sometimes connect portions of the circuit that should not connect. Depending on the type of board under PCBA, the board may include a variety of components beyond the usual SMDs. These include plated through-hole components, or PTH components. A plated through-hole is a hole in the PCB that's plated all the way through the board. PCB components use these holes to pass a signal from one side of the board to the other. In this case, soldering paste won't do any good, as the paste will run straight through the hole without a chance to adhere.